iPads can experience a lot of the same hardware issues that iPhones do. Screens can crack, buttons can jam, and ports can get clogged with debris. These problems are generally more noticeable on an iPad because they’re so much bigger than your typical smartphone. 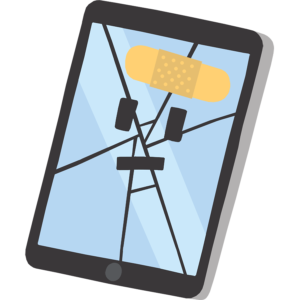 Our iPad Repair articles will help you fix hardware problems with your iPad and help you decide when it’s time to get it professionally repaired!